Mais oui! I'll be traveling to southern France this summer (aka next week)! Specifically Nice, with maybe some day trips to Monaco, Cannes, and St. Paul de Vence. You might recall that I have been to Paris several times (see here!) but I have never made it to the south of France. To say I'm excited is an understatement! I'm ready for some sunshine and a to-do list that has a big fat nothing on it. 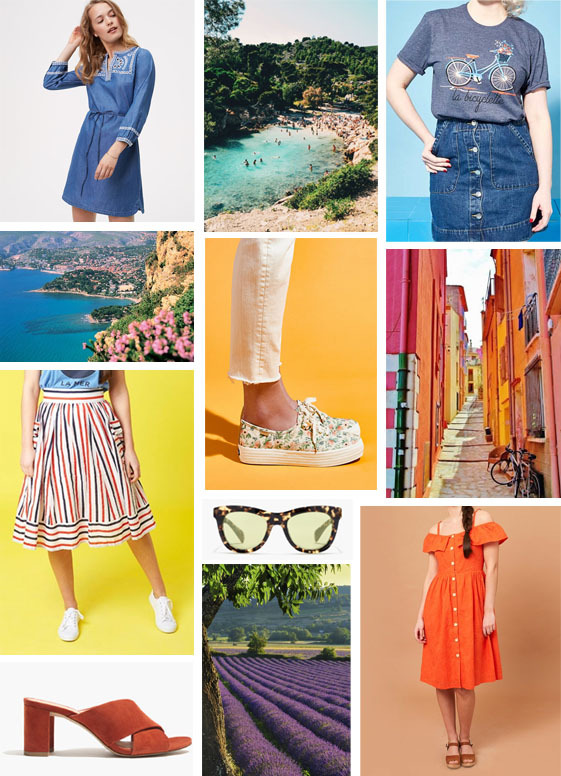 So give me all the clothes that are vacation-ready and bursting with color, please!